In a partial dissent, conservative justices Clarence Thomas, Samuel Alito, and Neil Gorsuch argued that Trump’s order should stand as written. 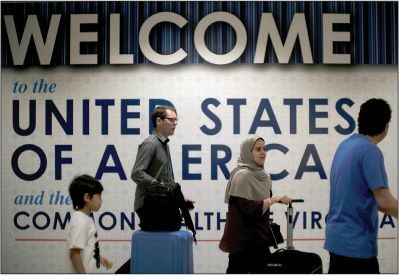 The court will hear oral arguments in October, by which time the 90-day ban—conceived as a stopgap while officials consider more rigorous vetting procedures—will have expired. The case sets up a battle pitting presidential power over the border against the need to protect individuals from religious discrimination. Lower courts cited Trump’s tweets and campaign rhetoric, such as his call for a “total and complete shutdown of Muslims entering the U.S.,” in their rulings against the order.